i am quite sure we are missing some essentials. (not billy joel, though; we have the essential billy joel covered. more on that later...) also, some punk high schooler stole his ipod last year and he still hasn't been able to replenish all of his music. sooo, i am going to need some people to post some musical recommendations on this blog. what should we have on the ipod? we will take any suggestion, "essential" music or not. in fact, i like the novel stuff that no one's heard. on a side-but-similar note, i have always liked the idea of a music-sharing party. you know, everyone brings the ipod and a computer to broaden their musical horizons and get some fresh music? but that might be illegal. thank you in advance for your horizon-broadening (or not) musical suggestions. these would be my must-haves. and your party idea would be, most likely, illegal. it depends on the artist. I am all for a music sharing party! 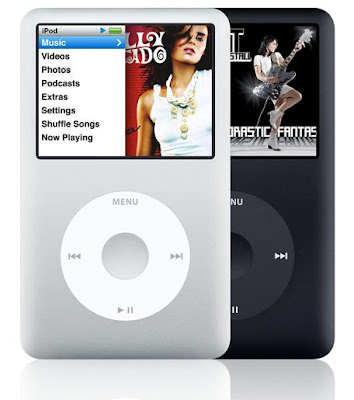 (if it's legal) I am on my 4th ipod now and am in need of some music and have no motivation to do this all over again! admin...a very impressive list! even more impressive is the fact that you whipped out that list in about 5 minutes (or so it seemed). looking forward to getting all that music on the pod. i'm pretty sure we currently only have about 5 of your picks. crystal - go ahead and sneak down to our house and we'll swap tunes or at least ideas. if i was an artist i'd want people to be talking about me. wouldn't you? REO is always a must, I love Jon McLaughlin right now, very sappy but sweet, Dave Barnes, Anberlin, OAR, Dierks, The Bravery, Joshua Radin, MIKA, T.I., The Darkness, Hillsong, Red Hot Chilli Peppers, you know the basics. Come on down and steal whatever you like!